500 pages. Book is in very good condition, no marks or bending inside. It is a library book so it has a plastic cover protecting the dust jacket. A black mark, on the plastic, covers up a library tag on the dust jacket. This is located on the letter i and e of Fannie Flagg. "...The time is 1946. The town is Elmwood Springs, Missouri, right in the middle of the country, in the midst of the mostly joyous transition from war to peace, aiming toward a dizzingly bright future. 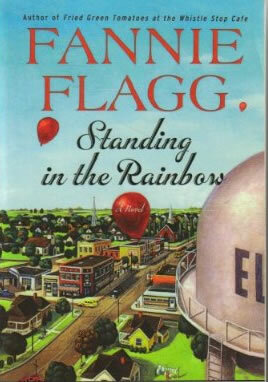 Once again, Fannie Flagg gives us a story of richly human characters..."